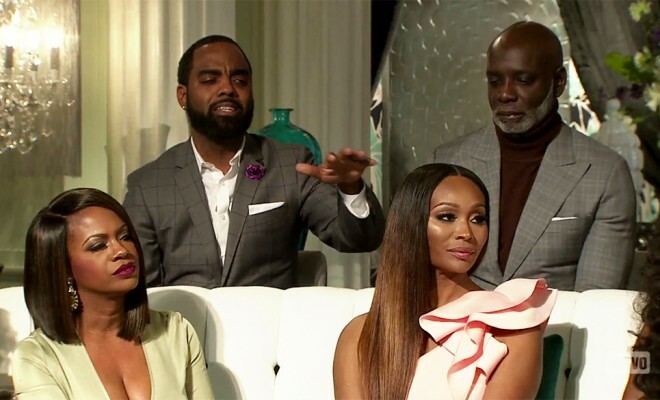 Kandi Burruss dishes on Part 3 of the #RHOA reunion. Bravotv.com: Were you happy to get a break from the reunion for pumping? Kandi Burruss: Of course I was happy! Anything to get out of debating with the women all day long. Bravotv.com: Was it hard watching Todd and Phaedra argue? KB: You never want your husband to argue with any woman, but I understood his frustration. I’m glad it is over with and we don’t have to talk about it anymore. KB: Went home and went to bed!